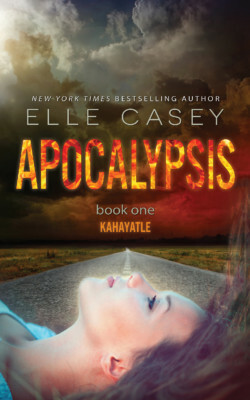 NEW YORK TIMES and USA TODAY BESTSELLING AUTHOR, ELLE CASEY, brings readers Book 1 of 4 in the YA Dystopian APOCALYPSIS Series, suitable for older teens and adults. With over 900 5-star ratings on Goodreads for Book 1, readers love the Apocalypsis series! KAHAYATLE. My name is Bryn Mathis. I’m seventeen years old, and I live in a neighborhood outside of Orlando, Florida. I’m here alone because my dad died almost a year ago, along with all the other adults in the world. I’m almost out of food, and the gangs of kids that roam around my town are getting more vicious by the day. It’s time for me to leave and find another place to live … a place where I can find food and shelter … a place where they won’t be able to find me.